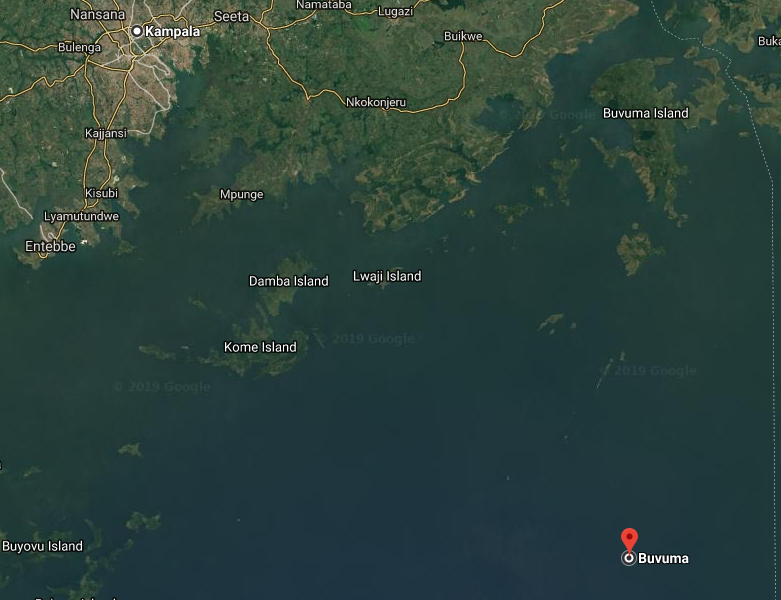 Satellite photo showing the strategic location of Buvuma district. BUVUMA – A wife to the deceased Vincent Were, 30, a resident of Kibibi Landing Site Bwema sub-county in Buvuma District is under police custody over alleged involvement in her husband’s murder. Ms. Helen Butoto, the Ssezibwa Regional Police spokesperson, confirmed the incident and said the suspect will face murder charges. The chairperson Beach Management Unit at the landing site Mr. Abdul Ssekate claimed Were’s wife stabbed the deceased in the chest following a misunderstanding. “They developed some misunderstandings on Friday night (March 15) after the wife accused him of being the one of those who destroyed her fish which is suspected to be immature. When the husband denied the claims, they started fighting each other and in the process, the wife picked a knife and stabbed him to death,” Mr. Ssekate said on Saturday, March 16. He said they tried to save Were’s life by rushing him to Senyi Fishing Landing Site to board the first boat to Buikwe and receive treatment at Kawolo Hospital but he died on the way. After the incident, the suspect attempted to run away but residents arrested and took her to Bwema Police Post.